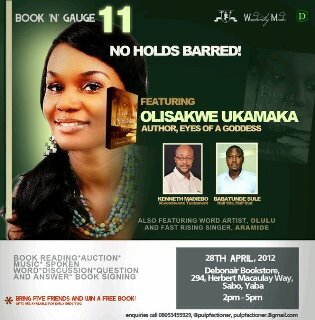 Book N Gauge 11: No Holds Barred promises to be a beautiful blend of literature and music, and of fact and fiction. Get set to encounter writers that have more to themselves than just being writers, and performers that are fully committed to their art. Kenneth C. Madiebo is the author of The Kwerekwere Testament: The Complete Chronicles, a fictional work. As the product of a thirteen-and-half year study on the socio-economic and health impacts of forced migration on black Africans, The Kwerekwere Testament: The Complete Chronicles has its roots in fact. Ukamaka Olisakwe is a writer, mother and banker. Her forthcoming debut novel, Eyes of a Goddess, will draw tears out of her readers. Eyes of a Goddess is a story of hardship, abuse, and the resilient spirit of those desperate to breathe in the air of freedom. Babatunde Sule has lived most of his life in Lagos and has always mused about the complexities that both attract and repel millions from the city. His first work of fiction, Half This, Half That, is an expression of his inner musings about the millions of untold stories the city of Lagos harbors. Aramide has written over 100 songs. In 2008, she was part of a show called ‘Divas Unplugged’ in the city of Jos; the show had all the leading female artistes in the Nigerian music industry. Aramide is also a guitarist and saxophonist, and has worked with artistes like M.I. and Jesse Jagz. • Freebies! 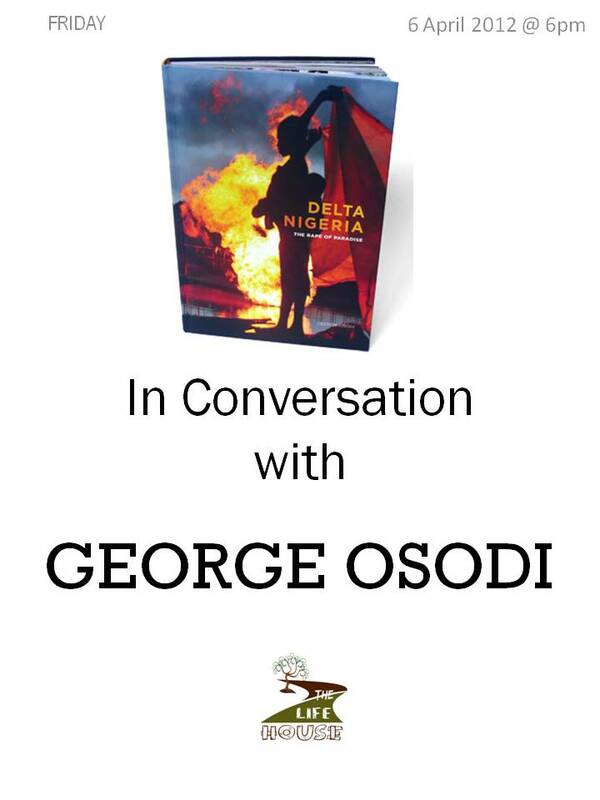 Invite five friends, ensure that they come for the event and win a free book. The Golden Baobab Prize was established to encourage the writing of African literature for children and young adults by recognizing gifted authors of the genre. It invites entries of unpublished short stories written by African citizens irrespective of age, race, or country of origin. The three prize categories this year are: best story written for ages 8-11 years ($1000), best story written for ages 12 -15 years ($1000), and promising writer below age 18 ($800). Outstanding stories will also be connected with publishers all over the world. Entries should be submitted in Microsoft Word or PDF format. The deadline for submissions is June 24, 2012 and winners will be announced in November 2012. Please visit their website here for more information and submission guidelines. This year, for the first time in 35 years, the Pulitzer Prize board failed to select a winner for the highly coveted award for fiction. 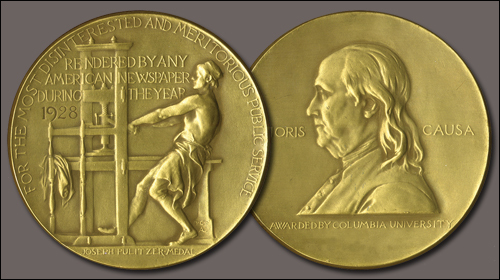 The Pulitzer prizes, announced on April 16 2012, include prizes for investigative reporting, photography, editorial cartooning and more. Having narrowed the field down to three novels – David Foster Wallace’s The Pale King, Karen Russell’s Swamplandia and Denis Johnson’s novella, Train Dreams – Pulitzer Prize administrator, Sig Gissler, said none of the works received a majority from the three-man panel. 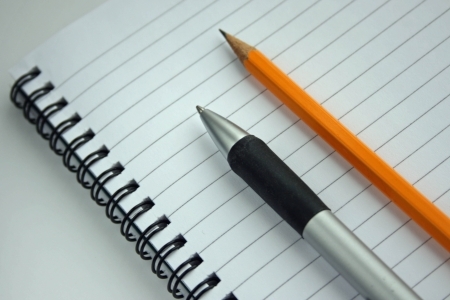 This has generated mixed reactions from writers, publishers and the general public: while some are disappointed, others see it as a call to writers to be more innovative. This brings to mind the 2009 Nigeria Prize for Literature, for which no winner was announced and no prize awarded. What goes on during a deliberation is a private matter for the jurors alone; the rest of us are privy only to the verdict. That holds true for book awards as well as murder cases. So when the Pulitzer Prize Board announced on Monday that there were three finalists for the fiction prize and no winner, we were left to draw our own conclusions. So far I’ve been able to come up with two: either the board was unable to reach a consensus, or at the end of the day the board members decided that none of the finalists, and none of the other books that were not finalists, were worthy of a Pulitzer Prize. What I am sure of is this: most readers hearing the news will not assume it was a deadlock. They’ll just figure it was a bum year for fiction. As a novelist and the author of an eligible book, I do not love this. It’s fine to lose to someone, and galling to lose to no one. Hello, everyone. If you’re looking for places to relax and have fun with friends and loved ones this long weekend, here are a few ideas. 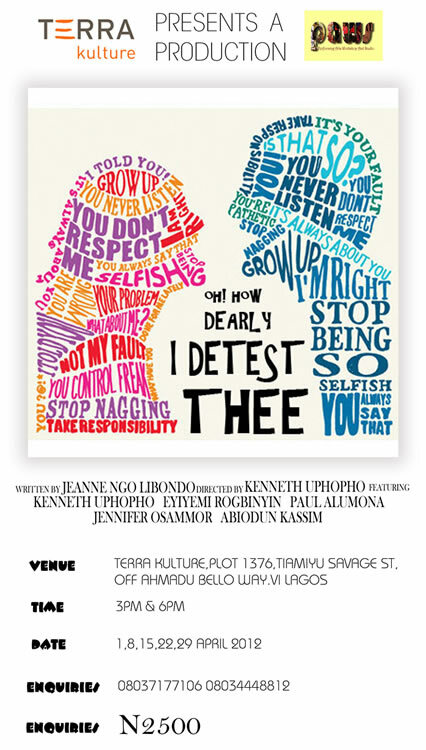 Terra Kulture and Paws will be showing a mind-blowing stage play, Oh! How Dearly I Detest Thee, this Sunday. The play, which was written by Jeane Ngo Libondo and directed by Kenneth Uphopho, is a must watch for every Nigerian man and woman.